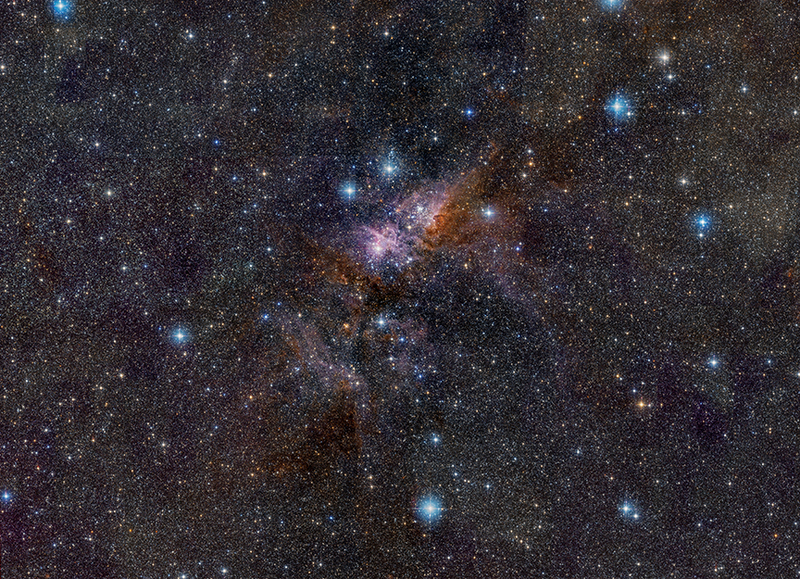 This multi-panel image shows Eta Carinae in the same field of view using three different telescopes. From left to right, the images are from the Chandra X-ray Observatory, the Hubble Space Telescope in optical light, with the ground-based 2MASS survey in infrared. The X-ray image reveals an outer horseshoe-shaped ring, a hot inner core, and a hot central source. These structures glow in X-rays because they have been heated multi-million degrees by shock waves. The optical image shows two giant bubbles expanding away from the center of the system at over a million miles per hour. 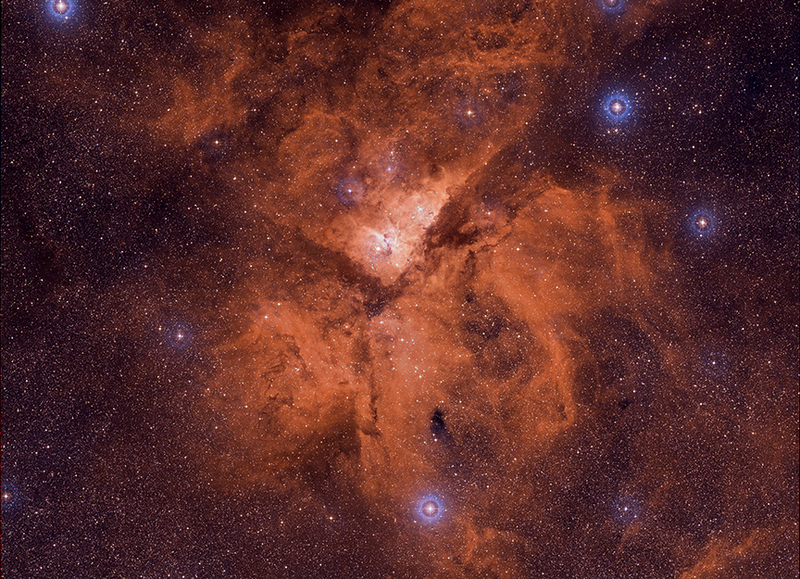 The infrared data reveal that Eta Carinae is one of the most luminous systems in the Milky Way. Eta Carinae is shrouded in a rapidly expanding cloud of dust that absorbs radiation from the central star and re-radiates in in the infrared. 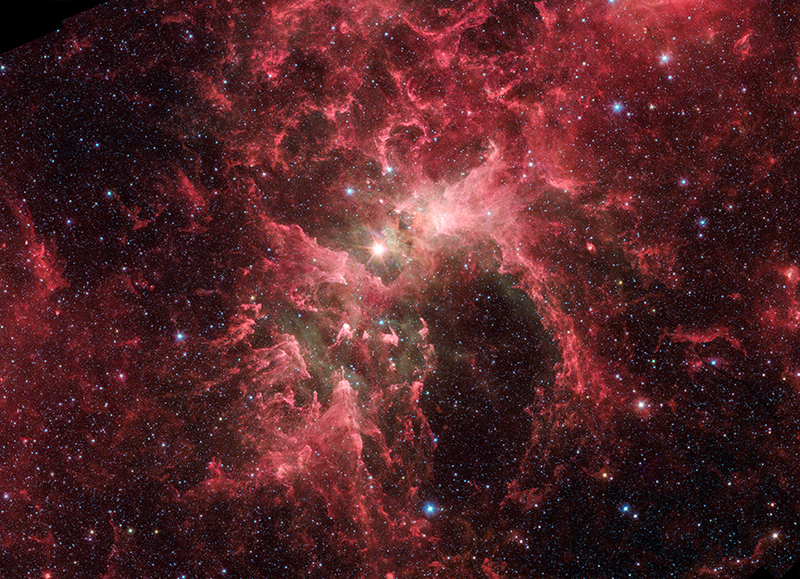 Eta Carinae is one of the most luminous known star systems in our galaxy. It radiates energy at a rate that is 5 million times that of the Sun. Most of this energy is radiated at infrared wavelengths. It is shrouded in a rapidly expanding cloud of dust which absorbs radiation from the central star and re-radiates it in the infrared.